Have we missed one? Well let us know and we’ll add it to our guide! 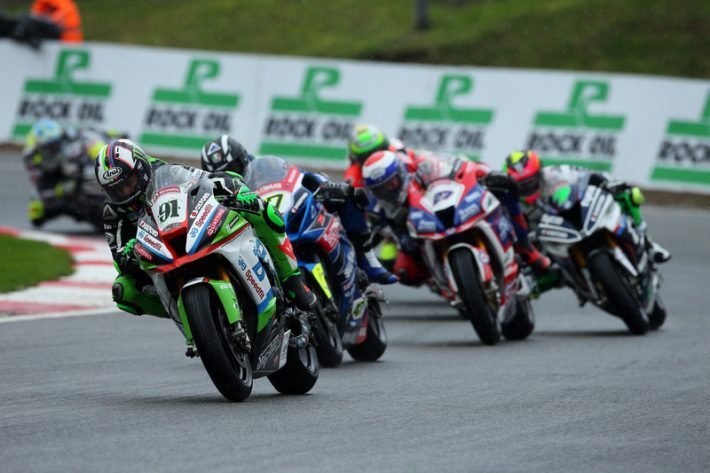 After a thrilling round at Brands Hatch, British Superbikes are heading to Thruxton for the next round. Find out how to get tickets here. 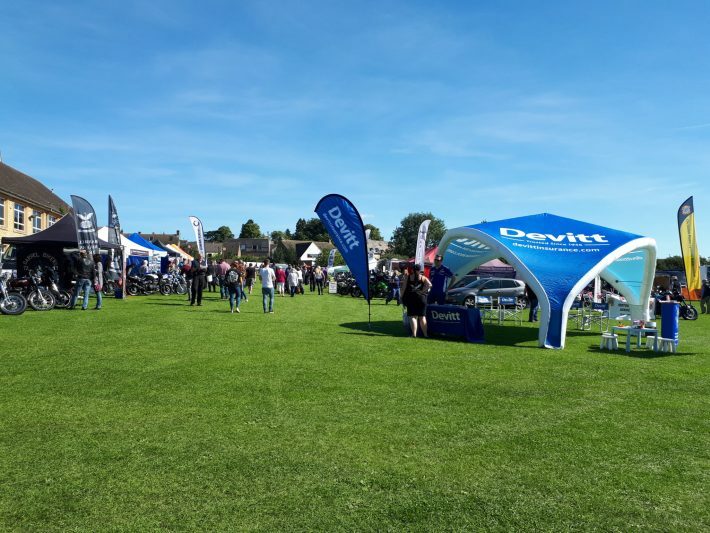 Llanbikefest is back again for its fourth year! The festival is bigger and better than ever celebrating all things motorcycling. After a day of fun, you’ll be able to kick back and relax with the evening entertainment with beers and bands to your hearts content. Stars over the weekend include TT legend, John McGuinness and BSB champion, John Reynolds and Steve Platter. This years show hosted by Devon Highwaymen will be held at The Queens Head from 12pm onwards. 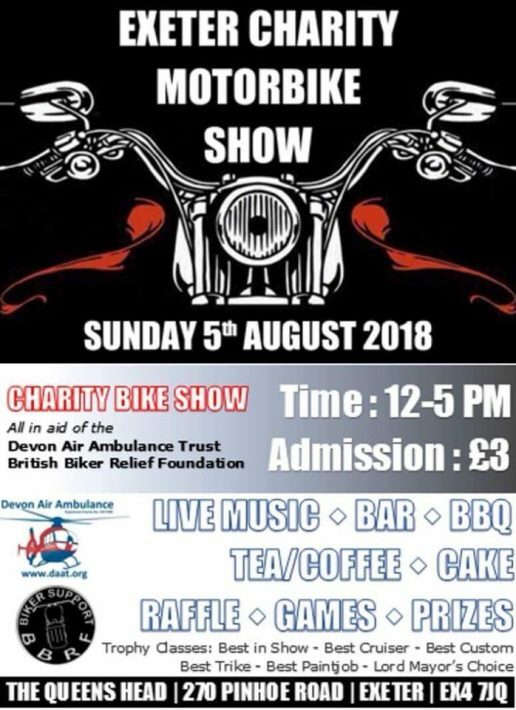 The charity day is to raise money for Devon Air Ambulance and the British Biker Relief Foundation.You’ll be able to enjoy live music, BBQ, raffle and a full bar with tea and coffee facilities too. Back again, it’s time to take a trip to the Normous Newark Autojumble for your biking fix. Whether you’re looking for that spare part or your next project, you’ll most probably find it at the Newark Autojumble. 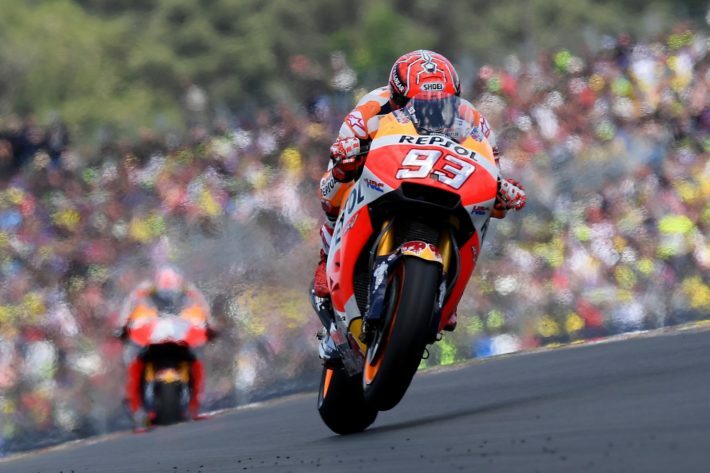 More MotoGP madness is heading our way, but does Marquez have what it takes to win the championship? 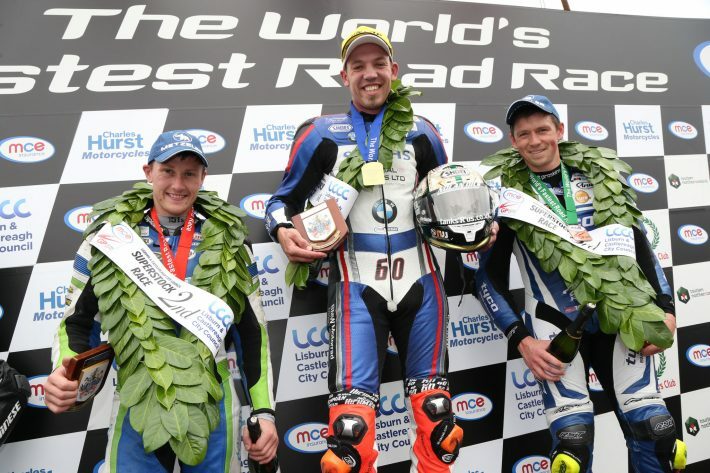 Road racing heads to Northern Ireland this month for the Ulster Grand Prix. There will be bands, bars and bikes for the whole weekend – what more could you want? 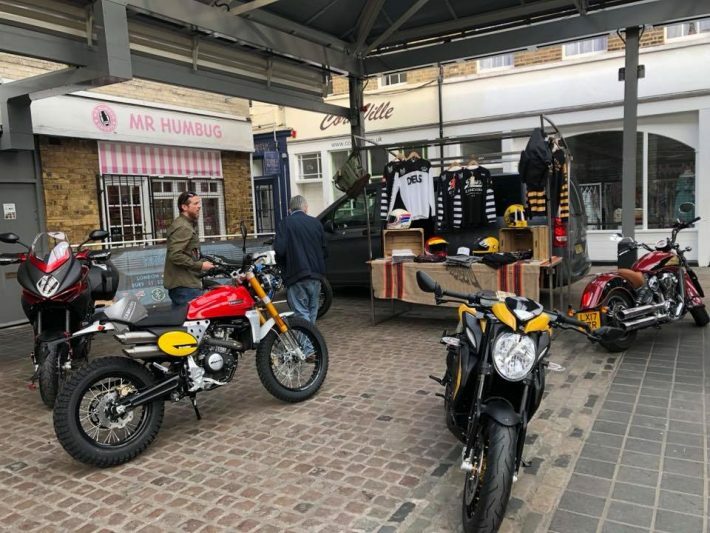 A large number of trade stalls will be open across the weekend so you can have a shopping spree before enjoying the live music and bike show. Don’t forget to bring your bike and register it in the bike show, you could win an impressive trophy and a cash prize. Categories include Best In Show, Best Scooter, Best Classic, Best Paintwork and many more. Back again celebrating their 10th anniversary, Brackley Festival of Motorcycle is a must for August! Thousands upon thousands of bikers fill the small streets of the town of Brackley for a whole of family fun. There’s live music, stunt shows, entertainment and plenty of trade stands to sink your teeth into. Every year the sun has always been shining and everyone’s smiling so why not pop along for a great day out! 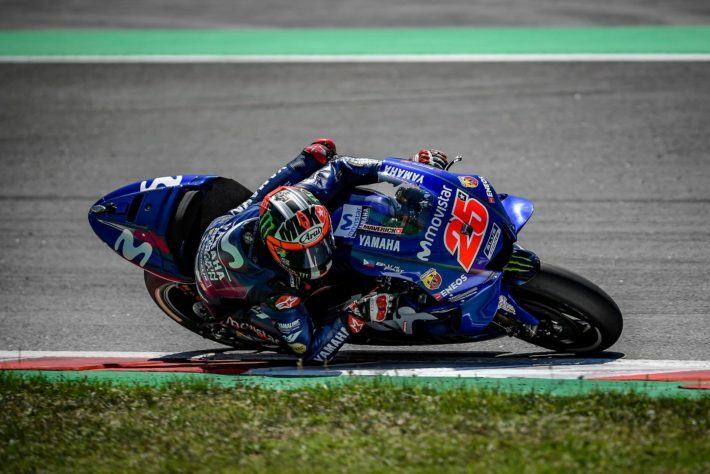 Another weekend full of MotoGP, this time in Austria. You can watch live right here. With only a few rounds left of the 2018 British Superbike Championship, things sure are heating up. 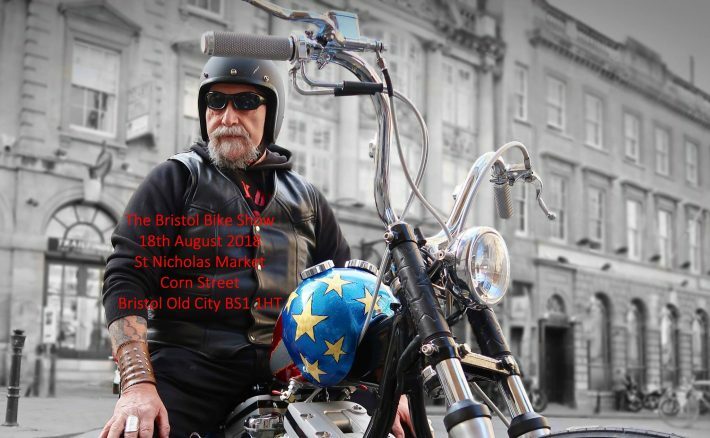 The Bristol Bike Show is a free event for all motorcyclists and visitors in the city centre. There’s plenty of free parking for bikes if you decide to take your wheels. There will be a large display of club stands, trade stands and other representatives from the motorcycling world. You’ll be able to enjoy the live music, food stalls and refreshments. It promises to be a great day out for the whole family. Hosted at The Bell Inn, all are welcome to the celebration of vintage, custom and classic motorcycle culture. 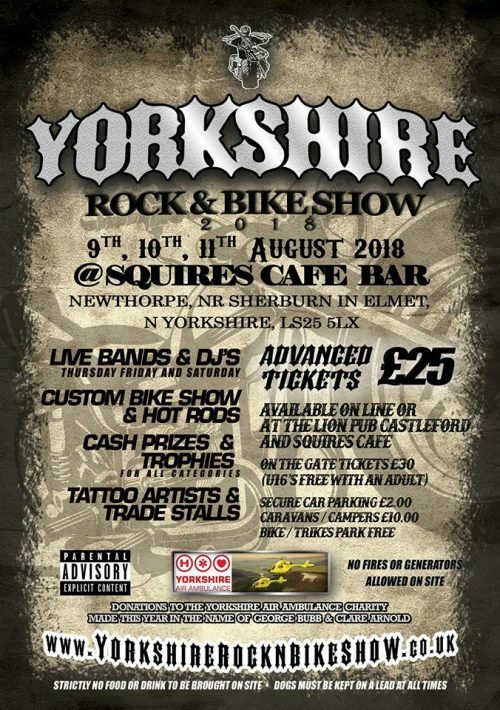 The show boosts a great location for a day out with the family, enjoying some traditional ale, BBQ and pud food and the chance to enter the Bike Show. Categories in the show include Best Classic British 1965-1989, Best British Classic Modern 1989 – 2014, Best Restoration, Best Japanese Classic, Best European Classic, Best Cafe Race and many more. The Northants Custom and Classic Bike Show raises money for the Nationwide Association of Blood Bikes. 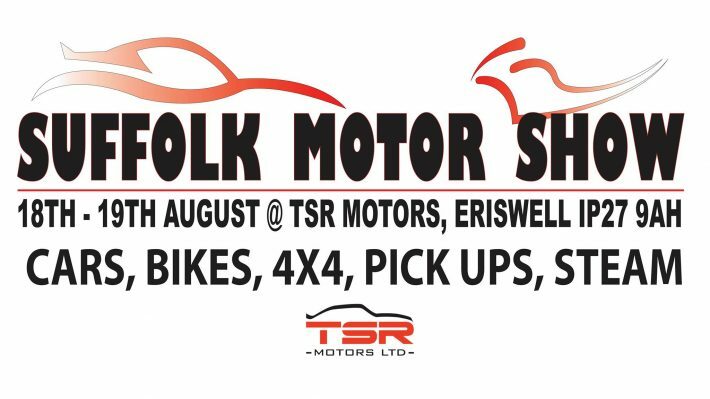 All kicking off from 6pm on Saturday evening, the Suffolk Motor Show promises a great weekend of fun. Want to make a weekend of it? Camping is available. 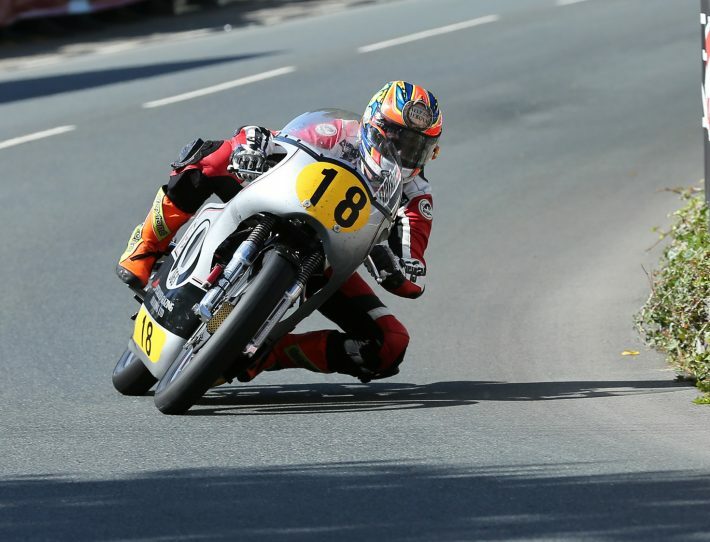 What a way to end the international road racing season by heading back to the Isle of Man for the Manx GP and Classic TT. 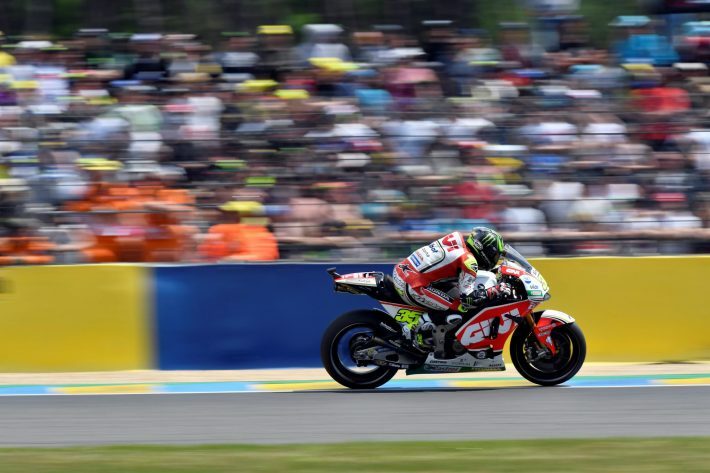 It’s coming home… MotoGP that is! The British round heads to Silverstone over the bank holiday weekend and it’s one not to miss. Tickets can be found right here! In its third successive year, Hornsea Biker Event is back for a great day of fun. Live music all day long, trade stands and raffle tickets to be bought. You won’t want to miss out on any of the fun! Chosen charities for this year’s event is Prostate Cancer UK, Yorkshire Air Ambulance and Armed Forced Bikers. Held in the grounds of Abbey School, Kent Chrome & Cruiser’s are hosting their annual event. 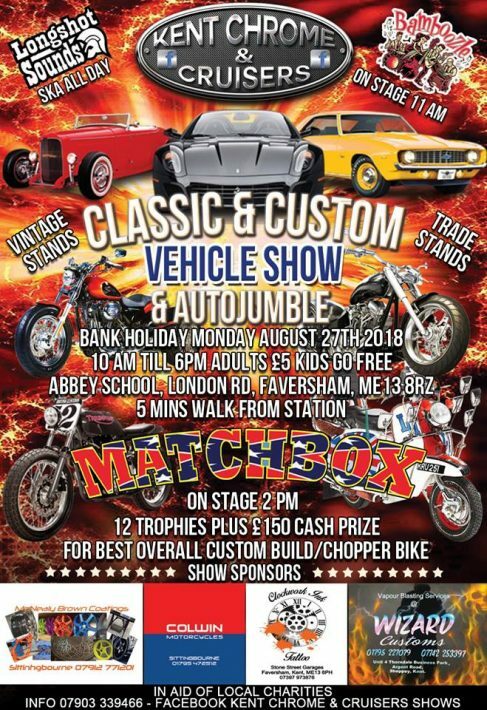 There will be a wide range of vehicles on display, all custom, chrome and cruisers of course. Live music throughout the day by ‘Matchbox’ – the original Rockabilly Rebels. The perfect way to round off your bank holiday weekend! It’s that time again, Krazy Horse’s Park It In The Market is back! Enjoy the last of the summer sunshine in London and head down to Greenwich after work. Don’t forget to share your events with us and we’ll add them to our guide!